I am really looking forward to working with you guys and a BIG thank you goes to Elizabeth. 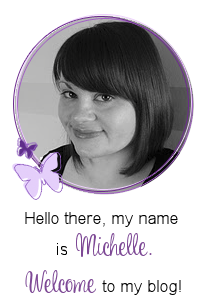 Yippeeeeeeee I'm so pleased that you've been chosen to be on the design team Michelle - Where are you going to find time to work is my only question! Well Done and looking forward to seeing your work. Hi Michelle. Congrats on the DT. I just looked at your cards and they are WONDERFUL!! I am very excited to be part of the team with you. Gobsmacked---I LOVE that word!! LOL. Lots of big names in there. Have fun! 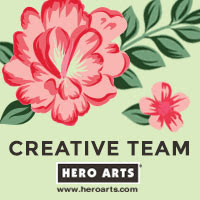 Congratulations on making the design team. I am not surprised, your work is just beautiful! Your cards are anything but simple hun, they're perfect. There is an art ato not overloading a card, sadly, I don't have it :o( Good luck with it Michelle, I'll look forward to seeing your creations. Well done Michelle. Your cards are stunning! Well done Michelle, that's fantastic news!! It's very well deserved. Your cards are always so perfect. I look forward to seeing your new creations. Congratulations Michelle, Although you have just cost me £10 cos after reading your post I visited Elizabeth's site and just couldn't help myself!! congrats to you!! i look forward to working with you!! Huge congrats Michelle!!! Fantastic news & sooooo deserved. Looking forward to seeing what you create.....but I know it will be brilliant!!! Well it's no surprise to me! It was 'in the cards' so to speak!